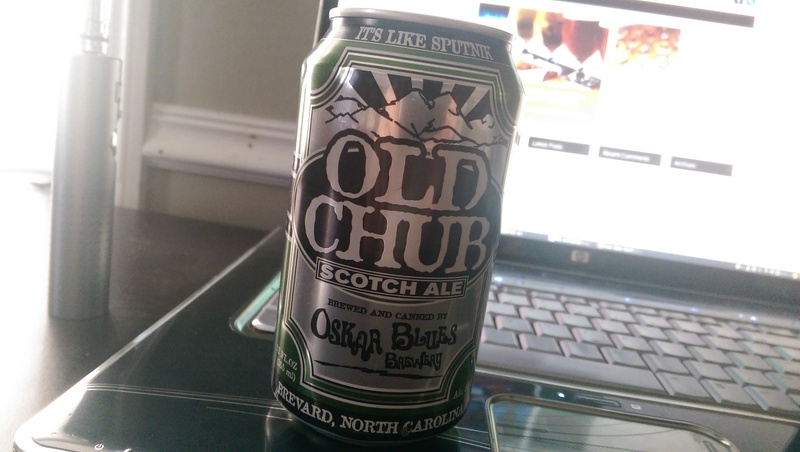 Beer Profile: Oskar Blues Old Chub – Food. Beer. Stuff. From the Oskar Blues Brewery this Scotch Ale will Knock your socks off. For my second edition in the new Beer Profile series, we will be sticking to Ales, though this ale couldn’t be more different than the Derailed Black Cherry Ale from the first edition. Well lets get to it. On a can of Old Chub they tell you “It’s Like Sputnik” I can only imagine that means you are gonna get high. This 8.00% ABV Scotch Ale is a smooth customer with a unique taste unlike other dark beers leaving little evidence of its above average ABV. Brewed with malted barley, specialty grains and a dash of beechwood smoked malt, this brew features the taste of coffee, chocolate with a bit of a smokey finish. Old chub taste almost just like you would expect from that description with that punch in the mouth one is use to getting from a scotch ale. Though a bit lighter on the scotch ale spectrum (if thats a thing) I found it to be a nice change from some of the heavier offerings available. An easy sipper you will find this “sticky” beer will leave lovely lines of lacing as you empty your glass. This is a beer for those of us who like malt, without a doubt. Starting out smooth with just a bit of biter aftertaste the flavors balance out quite neatly. It pours a deep brown with red highlights and a 1/2 inch head. Available all year long you can get Old Chub in cans, 1/6 kegs and Half Kegs making it a nice addition to your home bar. I really liked this Ale. Some mild fruity undertones like one would expect from an ale but the smokey finish is what really delights my senses. I have been a bit of a hop-head lately and this made a real nice change of pace. I will be keeping this stocked in my fridge for the foreseeable future, which perhaps is the best compliment I could personally give a beer. I find myself craving one late afternoon most days since trying it out. Actually, I think I will go get one now. 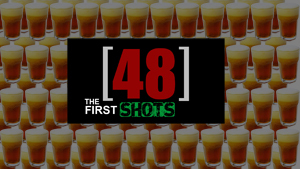 Be on the lookout for part three in this series where I will be moving on from Ales. See you then.